The National Institutes of Health has taken a whole lot of heat for allegedly cozying up to Big Alcohol in order to secure funding for a major study on the effects of having a daily drink. On Friday, the NIH lost one of its backers from the booze business, as brewing giant Anheuser-Busch InBev pulled funding from the controversial study. The New York Times reported the company’s decision to drop support for the federal trial, which is said to cost $100 million to conduct. 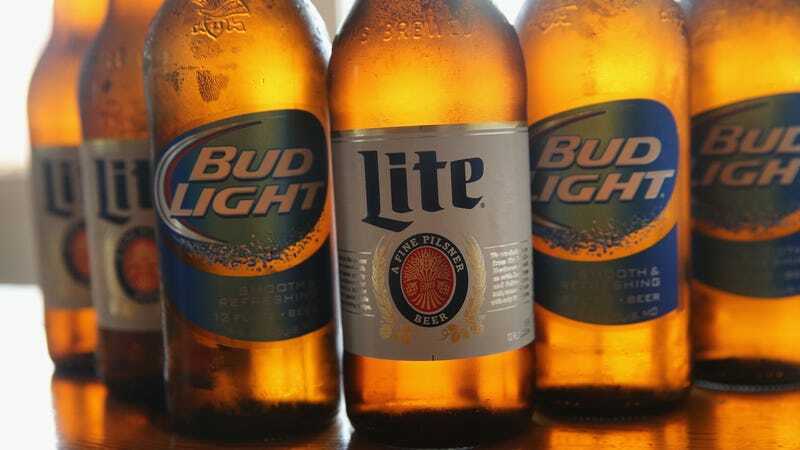 Anheuser-Busch committed $15.4 million to fund the study—nearly one-quarter of the $66 million being provided by alcohol companies. The massive amount of funding being provided by industry players has called into question the credibility of the research. Here’s the deal with the study: last year, NIH started recruiting adults over the age of 50 to take part in a 10-year trial that will examine the health effects of moderate drinking, defined as have one daily drink. The study was intended to have about 8,000 participants, some of whom will be assigned to have a drink of their choice every day and others will be asked to abstain from drinking completely. The study will examine which group ends up experiencing more health issues, including heart attacks, strokes, and deaths. All of that seems on the level until you find out that researchers leading the study, dubbed the Moderate Alcohol and Cardiovascular Health Trial (MACH), allegedly already have an outcome in mind. Officials from the NIH’s National Institute on Alcohol Abuse and Alcoholism first started soliciting donations from the major players in the alcohol industry back in 2013 and 2014, and sold the study with some winks and nudges that suggested the research would be favorable to their industry. According to the Times, NIH officials made sales pitches to industry executives at conventions and held private meetings to sell them on the study. The five biggest alcoholic beverage makers all bought in, pledging a total of $66 million to fund the research. Those payments were funneled through a nongovernmental foundation that raises funds for the NIH, with the companies making 10 annual installments. Payments started three years ago. That’s pretty bad, and the NIH knows it. Earlier this year, the agency put the study on ice and announced two investigations into the behavior of its officials to see if they engaged in any improper behavior in order to secure funds for the study. “Unfortunately, recent questions raised around the study could undermine its lasting credibility, which is why we have decided to end our funding,” the letter concluded. Obviously, Anheuser-Busch didn’t have any objections to being wooed by NIH and providing its support when it was promised findings that would endorse moderate drinking as healthy, but now the company gets to play the morality card while NIH takes the heat.